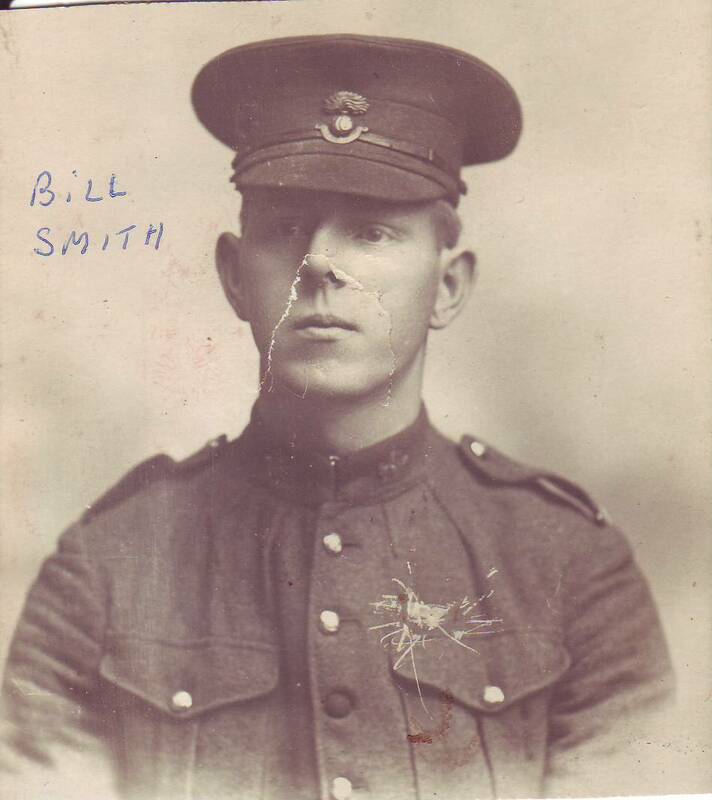 Today and tomorrow, i will think a lot about my grandfather, William John Smith (Bill). He was born in Ireland. He emigrated to Winnipeg, Manitoba because his three sisters were already there. When he arrived in Manitoba, he worked at various jobs available for new immigrants: glazier, drayman. He joined the militia. Joining the militia was normal. He was Northern Irish, loyal to the Crown, and the armed forces had deep connections to England. He was shipped to France in 1915. During his time in the trenches he was gassed. When he recovered from that, he was sent back into the trenches to be both a sniper and a machine gunner. Men were killed by artillery fire all around him. Killed by bullets. Drowned in the mud and water. He was wounded by shrapnel in his right hand. It would have healed but it became infected. There were no antibiotics.He spent the rest of the war in hospital in England and, at the end of the war, was shipped back to Canada where he spent time in a hospital in Quebec. But that’s not what I will think about today and tomorrow. What I will think about is that the cold winter weather of Manitoba made it difficult for him to breathe because of his damaged lungs. He could never afford a car and rode his bicycle to work at the railway roundhouse. Sometimes his lungs were so affected by the cold that he couldn’t get his breath and he would fall from his bike. My grandmother, on more than one occasion, saw him crawling through the snow toward the house. War is not business as usual. Soldiers are not just another group of civil servants. While my grandfather suffered bombardment, saw his comrades torn to shreds by explosions, killed by snipers, killed by mustard gas, made to mount attacks in impossible situations, politicians in Ottawa and elsewhere lived in comfort and safety. For many, the war was about making money. For them, war was an opportunity to become rich. Once the war was over, my grandfather and all the other cannon fodder were a nuisance, a cost instead of a profit and responsibility for them was cast aside. Read the history of the General Strike in Winnipeg, the unemployment, the refusal to accept responsibility of the plight of the returning soldiers by the politicians who had spent the war in comfort and security. There was no glory in scarred lungs. No glory in a shattered hand. No glory in a lifetime of memories of the horrors of war. Celebrate the bravery of people like my grandfather but don’t make war glorious. There is no glory in it.